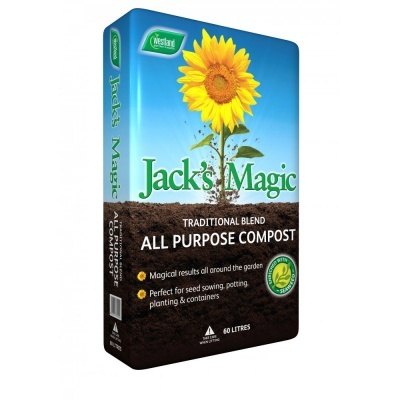 Westland Jack's Magic All-Purpose Compost supplied in a 60 litre bag is a traditional blend multi-use compost enriched with seaweed, for magical results all around the garden. Perfect for seed sowing, potting, garden borders and container planting. Rich peat based compost perfect growing medium for flowers, hanging baskets, fruits & vegetables or dug into your borders to enrich and improve the soil. 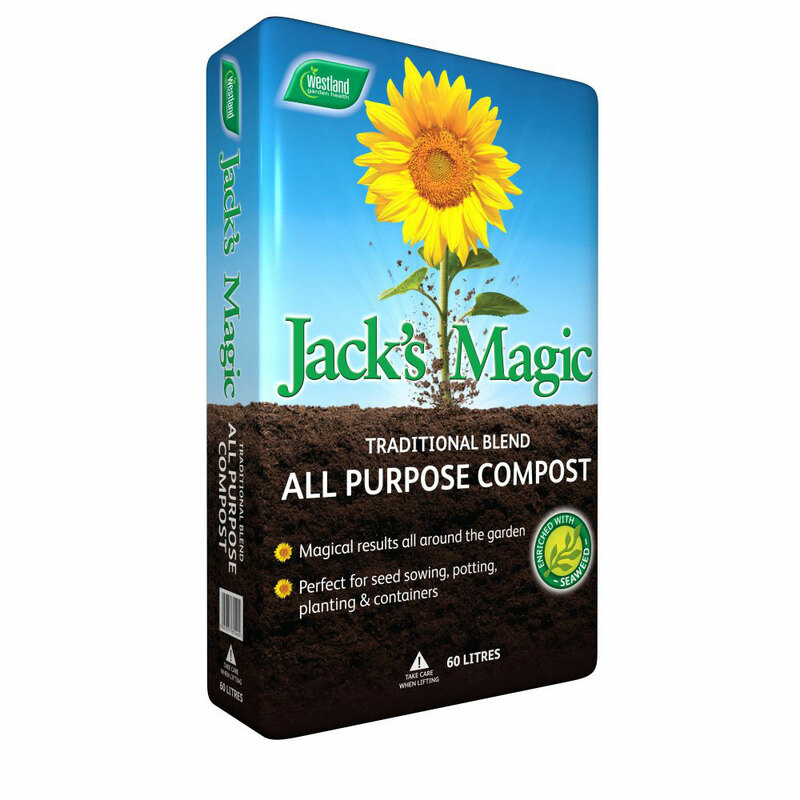 Jack's Magic formula includes added organic fertiliser which feeds plants for up to 5 weeks before additional feed is required.